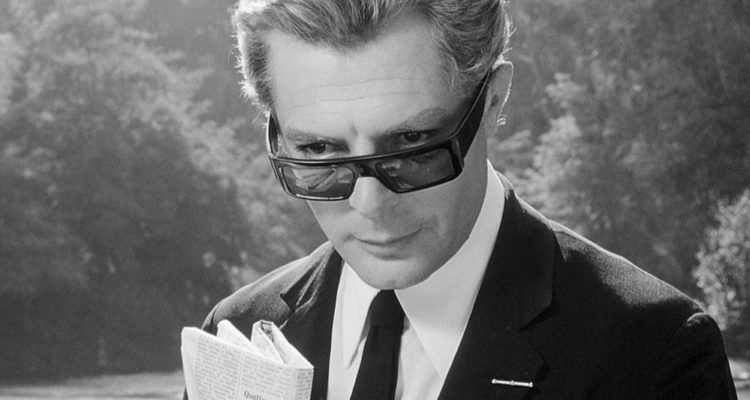 How will I ever be able to look my film school friends in the eye and say that I didn't love Federico Fellini's 8 1/2? I did however love the idea behind it. The concept of a semi-autobiographical film about a film that interweaves plot with the inner workings of the main character's mind is an appealing one. Fellini & co. exteriorize protagonist Guido Anselmi's (Marcello Mastroianni) private thoughts, hopes, and dreams in a seamless and oftentimes beautiful way. Oddly enough, this is also something video games can do very well. One of the best example in recent memory are the myriad flashback/hallucination sequences in Batman: Arkham Knight. After I finished the film I found myself wondering if this kind of thing has been done in comics before. I'm sure there are more than a few ways to inject memory/thoughts/dreams directly into the visual fabric of an individual comic panel or a series of them. It's something I'll chew on going forward. New York City is crumbling. In many different ways. When I was young and would visit Manhattan with my parents, I thought I had arrived in Metropolis: City of Tomorrow. Now that I'm older and have sampled a variety of its locales and living situations I can say with confidence that New York City is a great big rotting organism shot through with shiny luxury condos. People run around the shell on its back, attempting to fix its disintegrating infrastructure and build skyward, but the skeleton that supports it all will one day turn to dust. That's all for now, folks. Stay sharp--that is definitely not me standing outside your window.